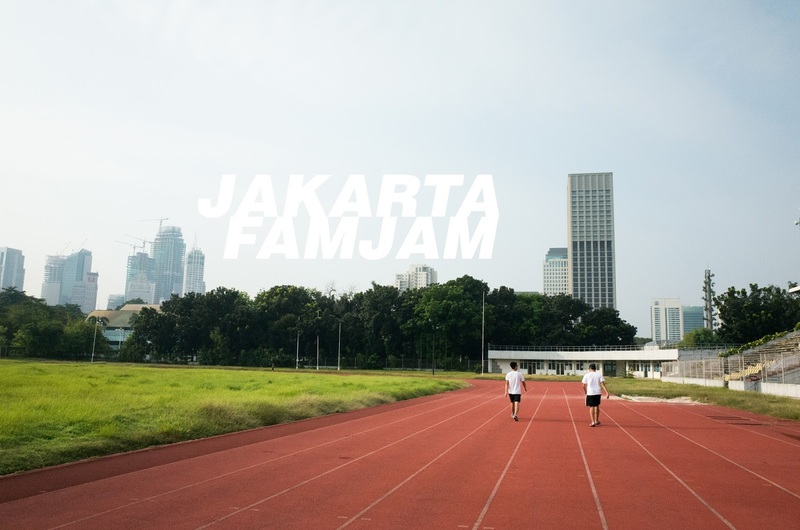 Jakarta Famjam ~ this anomal life. I love Jakarta (in small doses though). There's just something about it that I miss; the hustle and bustle, the industrial feel of it all, the green vegetation all year round, the liveliness. Canada gets a little too quiet sometimes. This year, the main reason we visited Jakarta is to attend my first cousin's wedding and visit family, of course. My grandma (ama) has a new crib in Tomang and it's quite lovely. This was taken from the balcony. Note the awesome rainbow-coloured apartment building. Only in Jakarta. I can't remember the name of this place but it's a fancy restaurant we were gonna try. My parents and my ama. Even though we didn't end up eating here, I still took pictures anyways. We visit my family's graveyard in Bogor, a short drive away from Jakarta. My ama prays at my grandpa's grave. is pickled or made into candy. The seed is used for spice, mace also comes from this fruit. Strongylodon macrobotrys, in case you wanted to know. Took this shot from my ama's rooftop. My ama on her morning walk with her nurse. She liked those flowers. "Yang ini bagus (These ones are nice)" she said. This is where your bananas come from folks. Glad my ama's doing better this year. Had dress rehearsal for the wedding ceremony at the Jakarta Cathedral. for one pew. I hope he gets paid per hour. Wedding day at Hotel Kempinski. I have no idea how one can wear a suit in Jakarta. It's too damn hot. The crew is almost complete. Chillin around waiting for the tea ceremony to start. The hotel room is pretty fancy, I gotta say. Yes, Jakarta weddings are all like this. The street where I lived for 8 years. That's it--short & sweet, that's how I like it.